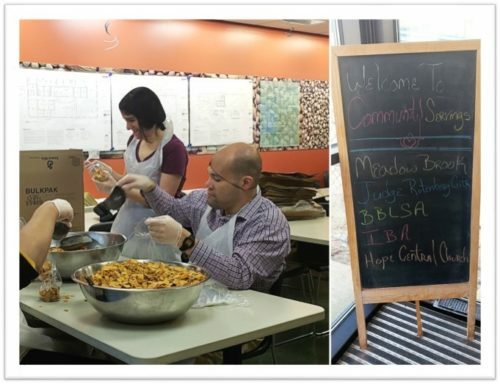 JRC clients visited Community Servings located in Jamaica Plain to help the food center prepare needed meals for individuals and families living with critical and chronic illnesses. They were assigned in the kitchen where they packaged cereal into smaller bags for distribution. Community Servings Volunteer Coordinator, Nate, expressed thanks and appreciation and extended another invitation to clients in the future. « Ashlee is our Most Improved Client of the Week!